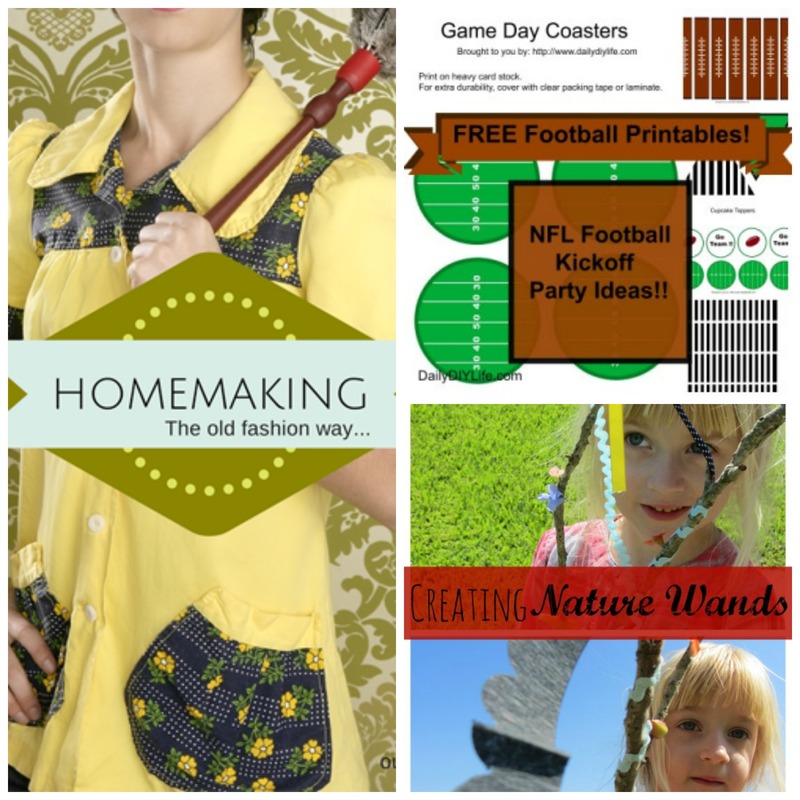 It’s week 4 of Home Matters Linky Party! We are having so much fun reading all your posts, learning new ideas, and getting to know and connect with you! I have a Blogger Opp here at Intelligent Domestications! 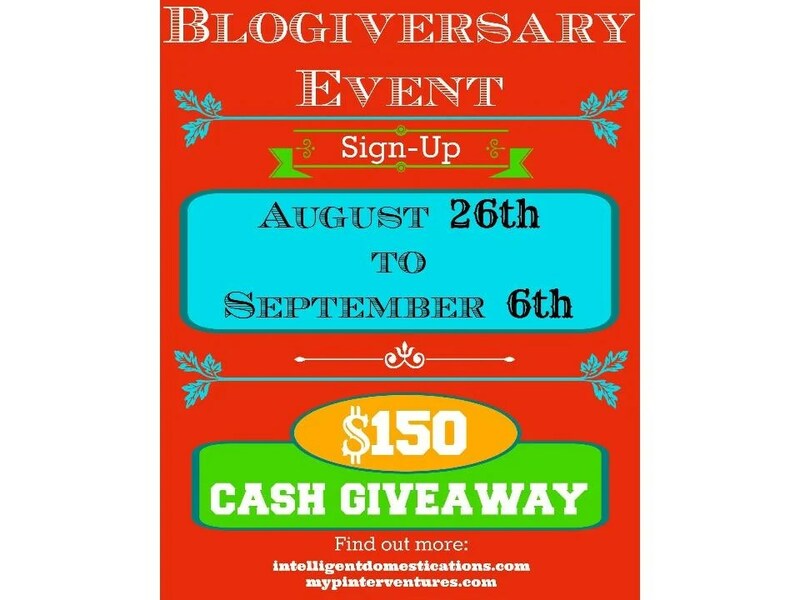 We are celebrating our One Year Blogiversary with My Pinerventures! Open Worldwide for the Paypal Cash portion of the prize. Co-Host Spots Available!! Co-Host spots are only $12 and include 6 links on the Rafflecopter and a link back in the body of the post. And now, onto this week’s featured links! Please check out all our features and show them some love by sharing or commenting on their post. You can review our “How to be Featured” tips here. Check out these beautiful NFL Kick Off Party with Free Printables from Heather at DIY Daily Life! Read about some Old Fashion Cleaning Tips from Tracy at Our Simple Life. Here is a great one for toddlers and younger kids: Creating Nature Wands from Paris at My Big Fat Happy Life! Robin at Redo It Yourself Inspirations shared some great tips for DIY Solar Lighting. You can read all about it here Cut the cord: Solar Lighting Part 2. « It Happened So Fast, In Slow Motion! Fabulous features again and so thrilled to be among them! Thank you for sharing our links and hosting! Thanks for inviting me to your party, Shirley! I’ll help to spread the word. If you have time, please come and link up at Thank Goodness It’s Thursday (At Ruffles and Rain Boots) – we’d love to have you! Sarah, I love your Princess Toss Game! On the way to your party now! Thank you for hosting and featuring my creating nature sticks! You are welcome Paris. Thank YOU for sharing your creativity with us! Always such a great party, Shirley! Thanks for hosting. Thank you Alli. It is really fun to read all of the wonderful ideas and recipes from those who link up with us. Thanks for sharing yours too!